INMEX Vietnam, the largest and most established international maritime exhibition in Vietnam, will be back for its 7th edition on 27-29 March this year at the Saigon Exhibition and Convention Center in HCM City. The event will offer the most comprehensive international business platform encompassing all aspects of shipbuilding, ship repairs, shipping, and maritime engineering, and provide an exceptional meeting point for the global maritime community in Vietnam amidst buoyant growth. INMEX Vietnam will once again welcome maritime industry professionals looking to source the best products and technology for their next project in Vietnam and the region. The last edition drew 300 participating companies and brands and 7,906 visitors from 28 countries. The exhibition showcases the latest technologies in the maritime industry with exhibitors coming from China, Germany, India, Indonesia, Japan, South Korea, Russia, Singapore, the Netherlands, and the US. Besides the exhibition, the 2019 INMEX Vietnam will also feature several shows that offer participants additional value like the shipyard pavilion, B2B business meetings, shipyard visit, industry networking reception, and seminars. This year INMEX Vietnam has added a shipyard pavilion to enable Vietnamese shipyards to showcase their cost efficiency and capabilities and meet with ship owners, ship designers/consultants and shipping and logistics companies. The B2B business meetings programme will provide a unique chance for international and local procurement decision makers to explore possible business collaborations and networking opportunities. Through a process of pre-qualification, buyers will meet the suppliers that best cater to their specific requirements. INMEX Vietnam will also offer exhibitors the opportunity to visit some of the top shipyards in the HCM City region like Piriou Vietnam, Saigon Shipbuilding Industry Company Limited and Ba Son Corporation. The industry networking reception will be an effective way for participants to meet leading industry leaders, decision makers and corporate financiers, network, discuss investment opportunities, and create partnerships. 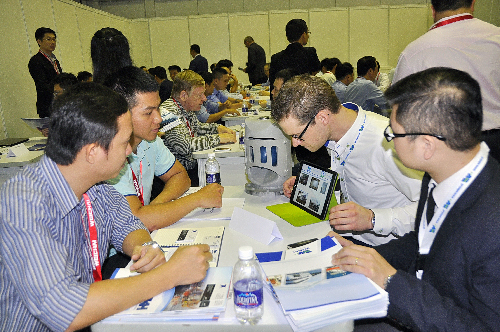 The 2019 INMEX Vietnam will also feature a series of educational seminars led by international and local industry experts to further engage the dynamic maritime industry. Featuring the latest technologies and trends, the seminars will be on addressing the challenges and experiential needs of today through thought-provoking topics specially curated for the industry, including leadership topics from the Vietnam Shipbuilding Associations (VISIA). 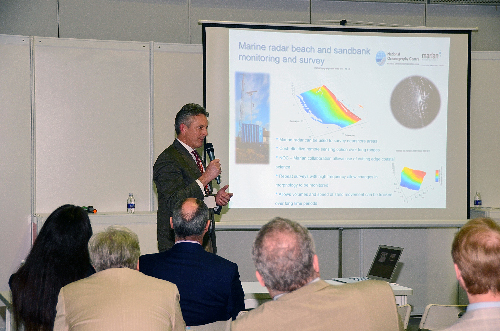 Besides, Mr. Tom Mellor, head of OEM technical support and digital standards at the UK’s Hydrographic Office, will be speaking on “Cybersecurity – Risk Assessments, Insurance and Crew Training”, “Maritime Connectivity – Satellite Communication and Big Data”, “Connected ECDIS – Back of Bridge Developments, S-Mode and HD ENCs” and “Software and Hardware Maintenance – IHO Updates and Regulatory Compliance”. 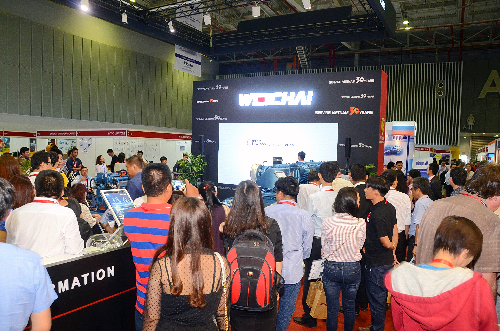 Weichai Vietnam, the sponsor of the expo, will make presentation on “Full Range Full Fields – Weichai Marine Power Solutions” ranging from engine introduction to propulsion package solutions and engine service support. INMEX is supported by Vietnam’s Ministries of Transport and Industry and Trade, the Vietnam Chamber of Commerce and Industry, Netherlands Maritime Technology, Society of Maritime Industries, Association of Singapore Marine Industries, and Vietnam Shipbuilding Industry Association. With strong Government support and investment from private businesses amounting to US$1.5 billion by 2020, Vietnam’s maritime industry is set to grow rapidly. Many trade deals are expected to be signed by Vietnam and other countries in the coming years, yet the number and capability of Vietnam’s 120 ports are insufficient for the economic growth. With average annual export growth of 12 per cent, Vietnam’s port infrastructure needs non-stop development to facilitate the growth. This represents enormous growth prospects for the Vietnam maritime market, and INMEX Vietnam 2019 offers the perfect opportunity to local and international maritime professionals to capitalize on the growing potential of the industry. Pre-register now to participate in INMEX Vietnam 2019 as a visitor or buyer – Email: inmex.marketing@informa.com!